Create your fantasy garden with Legends Hybrid Tea Roses. Hand-selected by Oprah Winfrey in honorarium of a group of 'legendary' women, these robust flowers boast rich, ruby red blooms that stay brilliantly bright all summer long. The Legends' stunning flowers are complemented by a delicate, fruity scent that will sweetly perfume your home and garden. These hybrid tea rose plants grow to a towering 3- to 4-foot tall and stretch out 2- to 3-feet wide. Legends hybrid tea roses are hardy in zones 4 through 10. These roses will thrive in full sunlight but are also well-adapted to partial shade. 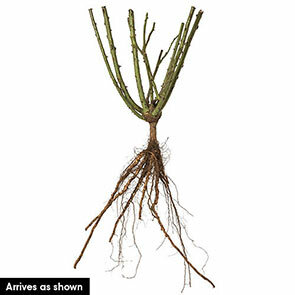 To create the biggest, boldest blooms, bury your bareroot roses in an area with well-drained clay, loamy or sandy soil, about 2 to 3 feet apart. Bury the root's crown at soil level, making sure to leave the crown slightly uncovered. Place your Rosa weksiamia plants in back borders and create a stunning backdrop for your other favorite summer flowering plants. Their thick bushes can also be planted in their own bed in front gardens, or arranged along gates and fences if you are eager to liven up the edges of your property. Make sure to cut off some of their wonderfully fragrant flowers to add to your summer bouquets. 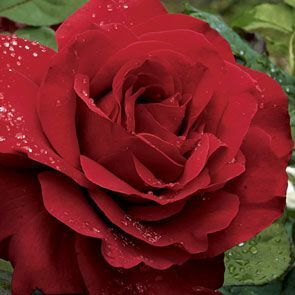 Nurture legendary beauty with these hybrid tea rose plants. Flower Form Massive, full and ruffled blooms.